In the metal fins on the Arts West facade you will find the impressions of five selected artworks and artefacts fundamental to knowledge. 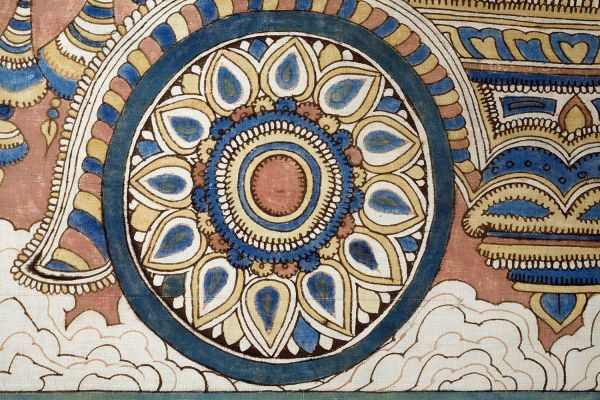 These images represent an array of cultures, eras and viewpoints, and illustrate the relationship between the Faculty of Arts and the intellectual, cultural and historical traditions that underpin our research and teaching. The façade is comprised of a series of metal fins which have been laser cut to different depths to create the images. The clarity of these images changes depending on the viewer’s position, the light and the atmosphere. 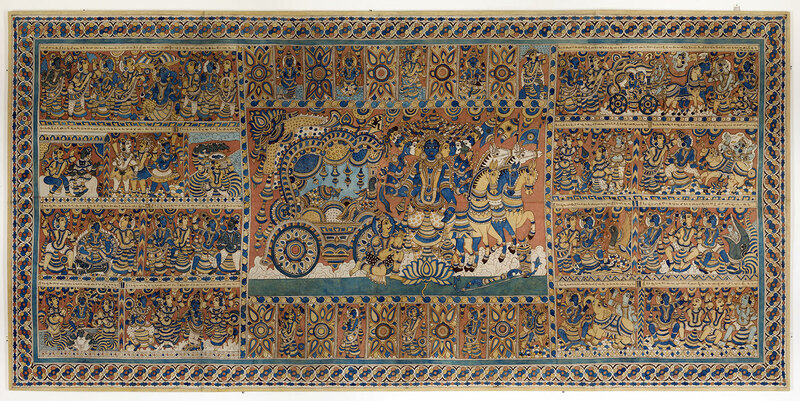 This textile is from Andra Pradesh and is painted in the Kalamkari style. The central panel shows a moment in a dialogue between Prince Arjuna and the god Krishna from the Bhagavad Gita. 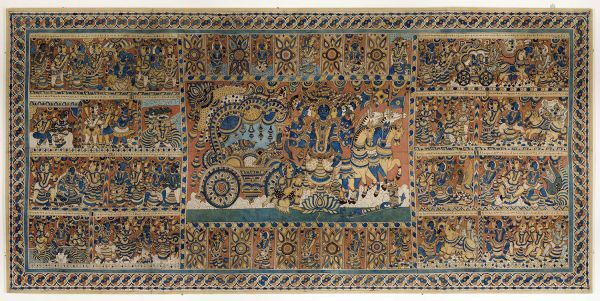 This exchange contains advice about how to lead a good life and summarises a number of the important philosophical principles which underpin Hinduism. Tommy McRae was an artist of the Kwat Kwat people. He lived and worked along the Murray River and in northern Victoria between Yackandandah and Wahgunyah. 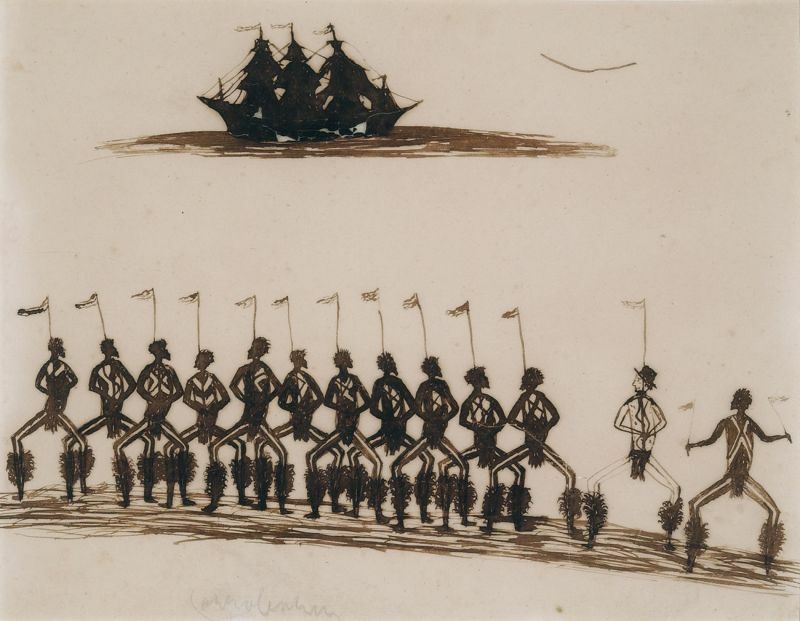 Many of his pen and ink drawings date from the period in the 1880 and 90s when he was living at Lake Moodemere. McRae sold his drawings on commission usually in the form of sketchbooks. His dramatic images often include telling observations about the relationships between indigenous people and European settlers. The Amykos painter is the name given to an important artist based in the region of Lucania in Southern Italy. 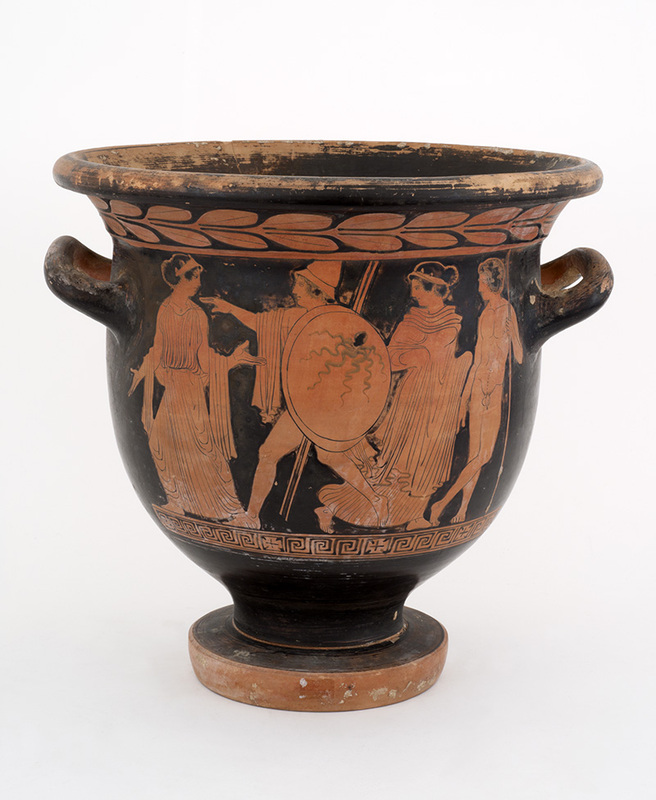 By the fourth century BCE Greek colonies and trading ports were located throughout the Mediterranean generating a rich cross-fertilization of ideas and objects across cultures. 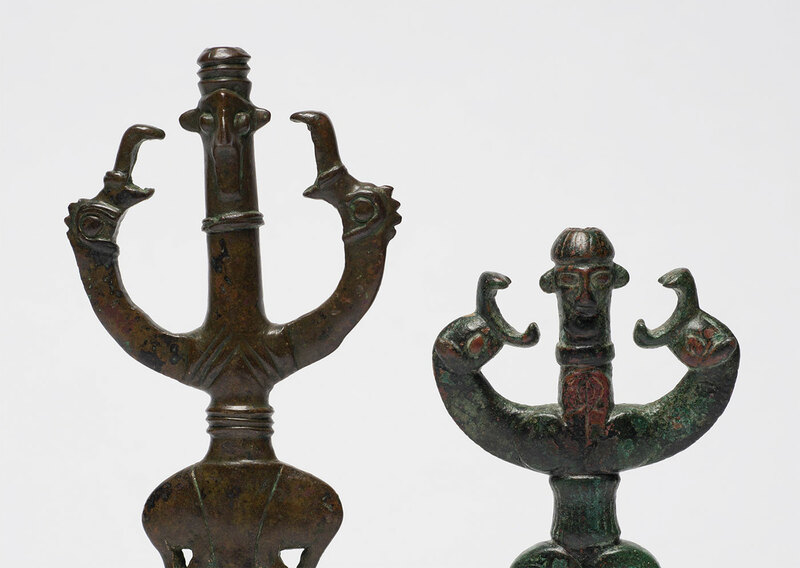 These finials are typical of the bronze work found in the mountainous Luristan region from 900 to 700 BCE. 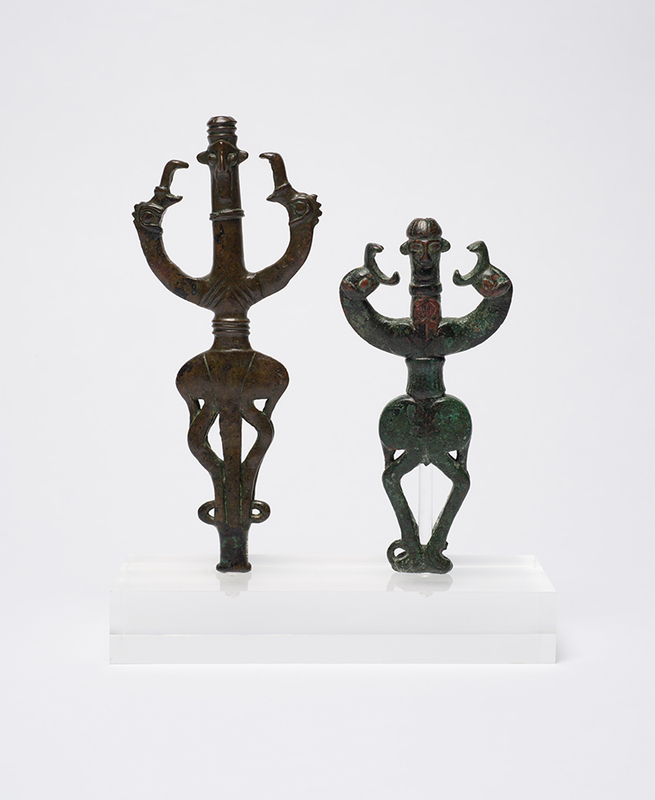 This was a period when a tradition of innovative bronze casting flourished in the area. Bertram MacKennal's bronze statuette was one of many artworks from the last decade of the 19th century which dealt with the subject of the biblical dancer Salome. From Oscar Wilde's play of 1893 to Mallarmé's Herodiade (1898) and the dance performances of Loie Fuller and Maud Allan; the legend of Salome was an enduring theme in fin de siècle Europe and Edwardian London.